Descubra o que há de melhor em Melbourne em uma excursão turística matinal que inclui um passeio de barco opcional pelo Rio Yarra. Primeiro viaje em um ônibus confortável para contemplar os destaques da cidade, tais como a Captain Cook's Cottage, o Mercado da Rainha Vitória, os Jardins de Fitzroy e o Parque Albert. Aprenda mais sobre a história e cultura da cidade com seu guia e aproveite o tempo para explorar alguns locais a pé. Se você escolher esta opção, continue sua excursão turística em um cruzeiro pelo Rio Yarra, no coração da cidade. The itinerary on the tour details portion wasn't followed. 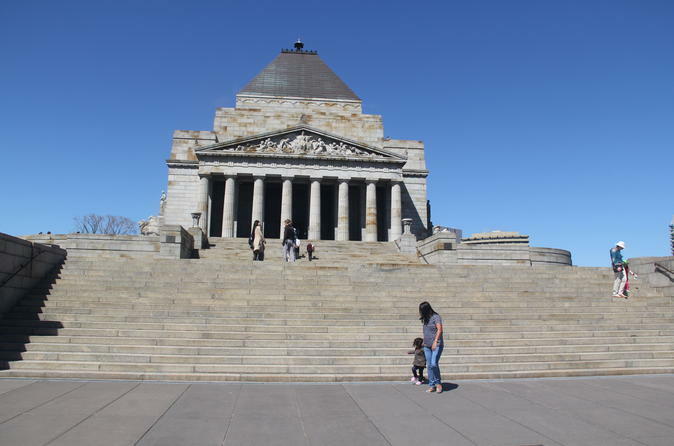 We only went down at the Melbourne Museum, Fitzroy gardens, and Shrine of Remembrance. Did not walk around Royal Botanic Gardens or Queen Victoria Market. Pretty much just sat in the coach the entire time. The Yarra River Cruise was disappointing as well. Tour guide was nice and friendly though. Standard city bus tour. Informational, but too much time spent at locations rather than giving a sense of the city. Awesome! We loved it, a great way to see the city. Good way to get acquainted with Melbourne. Our bus driver was very at pointing interesting sites. Tour provided a good overview of the city the tour guide was knowledgeable and answered questions of those on the tour. 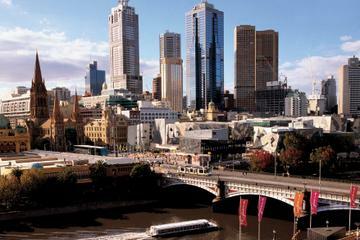 We took the additional optional Yarra Cruise which was also good, providing a different perspective of the city. The only niggles we had were the transfer from hotel to starting point - we hadn't realised that we would be collected and then taken to an alternative starting point at which we had a small wait before the tour commenced. In order to transfer to the river trip we were dropped at the original starting point and then escorted on foot to the river cruise starting point - this was no problem to us but it hadn't been clear and if you did have difficulty in walking, and at a pace set by the majority, then this could have been challenging. The trip represented good value and these are only minor niggles it was well worth doing and enabled us to see more than we would have been able to in the short time we had available. This tour was great. Very informative, bus very comfortable and guide very friendly. Well worth the small fee we paid. This was a great tour with lots of information about the city. They timed it perfectly so that we could enjoy the daily Service at the Shrine of Remembrance. We added on the Yarra Cruise which we all enjoyed thoroughly. It's only about an hour but the cruise guide gave a different perspective about the port and we took great pictures of the diverse architecture in Melbourne.